A massive new ‘planet’ has been discovered that is so large it may not actually be classed as a planet, according to astronomers. The new discovery is called OGLE-2016-BLG-1190Lb and is thought to be more than 13 times bigger than Jupiter, our solar system’s largest planet. The Korea Astronomy and Space Science Institute announced the discovery in a paper published on arXiv.org. The big planet, with the even bigger name, is located 22,000 light years away, inside the galactic bulge, the central core of the galaxy where most of the stars are located. Due to its huge mass, it may actually be a brown dwarf, also known as a failed star. 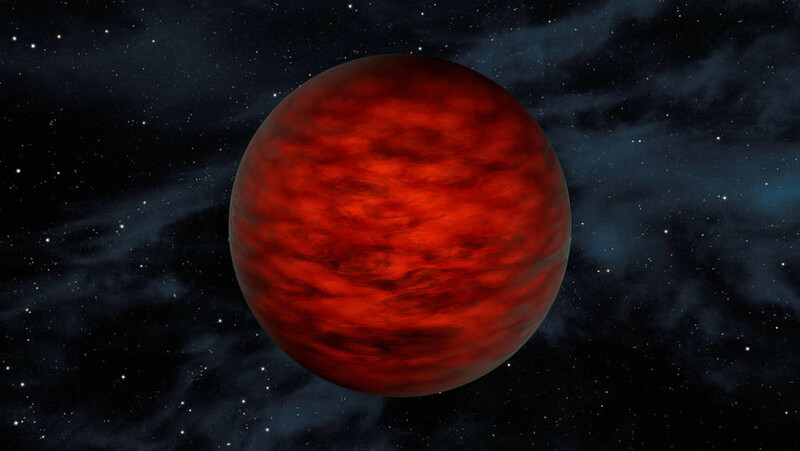 Brown dwarves are so big they generate heat, but not so big they can maintain the nuclear fusion used by other stars. “Since the existence of the brown dwarf desert is the signature of different formation mechanisms for stars and planets, the extremely close proximity of OGLE-2016-BLG-1190Lb to this desert raises the question of whether it is truly a ‘planet’ (by formation mechanism) and therefore reacts back upon its role tracing the galactic distribution of planets,” the researchers said. The planet was discovered in June 2016 at an event hosted by the Optical Gravitational Lensing Experiment (OGLE) collaboration, a Polish astronomical project.